Publisher’s Summary: It's always been just Kate and her mom—and her mother is dying. Her last wish? To move back to her childhood home. So Kate's going to start at a new school with no friends, no other family and the fear her mother won't live past the fall. My Take: Holy crap! The ending to The Goddess Test totally rocked! That was a super sweet twist! 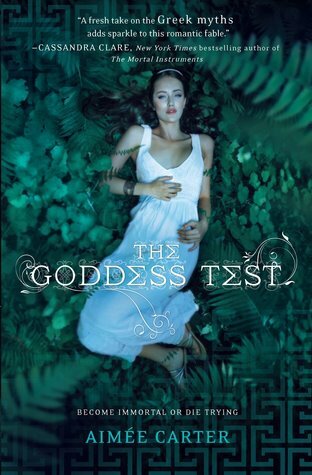 While reading The Goddess Test, I can honestly say that I only just “liked” the story, but it was the way that the story ended that made reading the whole book totally worth it! Now don’t get me wrong, it wasn’t as if I didn’t like the story because I did! While reading, the story kept me intrigued enough to keep moving forward, but it wasn’t a major thrill. But since there was that awesome ending, I’m now sitting here reminiscing, thinking about everything that happened throughout the whole book. And the part that I just brushed off as simple story-telling is now more important to me! 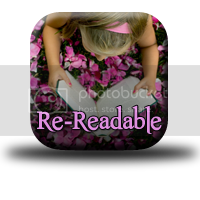 It makes me want to go back and re-read it, because I think I would like it better the second time! Pretty much all of the characters in The Goddess Test are likable. I kind of predicted who the villain was pretty early on (I won’t say, I don’t want to spoil it for you), but it didn’t at all ruin the story for me. Kate was too caring to the point where she would easily get pushed around and get taken advantage of; I wouldn’t be surprised if she doesn’t have severe trust issues after this book. Ava is the chick that you love to hate, but then she could also possibly be one of my favorite characters. Then there’s Henry. I’m totally Team Henry! How can you not fall for the Hades? LOL. Oh, wait! That wasn’t a spoiler, was it? But I’m pretty sure you find that one out in the very beginning. There’s really not much more I can say for you because it’s best to go in completely blind when reading this one. And if you’ve already started but never finished, don’t give up on The Goddess Test because the end ROCKS! I agree, I liked this book, but the ending was what really made me enjoy it! I totally didn't know who the villain was though!!!! I was like WHAT IS GOING ON!!!!!???? I love me some Henry, hope you enjoy Goddess Interrupted!! Do you like Greek mythology? I have always loved Greek mythology and I love reading different versions of the stories. I love this one and I still need to read Interrupted. Great review!! I really loved this book too!! I totally fell for Henry too. Omg! I can't wait for the 2.5 book! July 31 is wayyy toooo longgg!